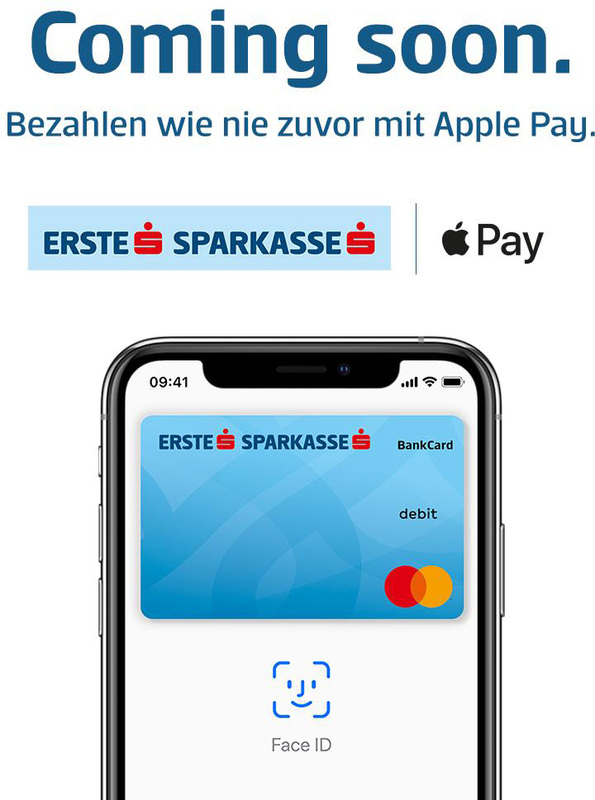 Austria's largest bank Erste Bank und Sparkasse today announced that Apple Pay is "coming soon" with a teaser on its Twitter account. Apple Pay has been gradually expanding across Europe, Asia, and the Middle East. The service launched in Belgium and Kazakhstan in November, made its long-awaited debut in Germany in December, and became available in the Czech Republic and Saudi Arabia last month. It looks like Austria will soon follow. Apple CEO Tim Cook yesterday said Apple Pay will be available in more than 40 countries and regions by the end of 2019. And also at Sparkaße and N26. Supported card networks are Visa, MC and Maestro credit and debit. I've been waiting for Apple Pay Cash since forever and I was hopeful that AT LEAST Apple would announce just that yesterday. No dice. I have always asked myself why did Belgium get Apple Pay before The Netherlands or Luxembourg. The Benelux are well developed so I had hoped Apple would launch  Pay at the same time in Benelux. [USER=76163]@troc[/USER] The answer is simple: we have a very extensive and cheap system of contactless payment already. Also, The Netherlands has rules about the maximum fee that pin-transactions should cost. Apple exceeds that maximum. The maximum was set till the end of 2021. Due to these rules and also other laws, also as having an impossible government, we can count that we won’t have Apple Pay in the next 2-3 years.